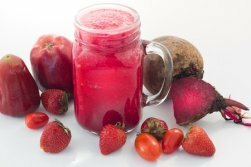 Juice Fasting - Is It The Ultimate Detoxification Process? 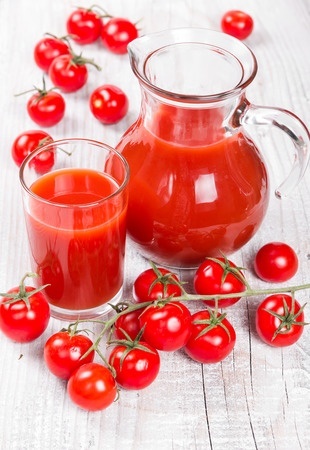 For the purposes of this juicing article all references to juice means freshly made juice not the commercially prepared juice bought in bottles or boxes. The health benefits of juicing seem to be making headlines in the news. Natural health practitioners have found fresh juice therapy to be and incredible way to quickly improve a variety of health conditions. It's no wonder that weight-loss experts are advocating the benefits of this liquid detox diet too. Can You Get Rid Of Toxins Stored In Your Body Fat? There are a number of ways to detox your body and squeezing your own fresh fruit or vegetables is one of them. This method of fasting is a popular detoxifying method where a person consumes only fresh produce liquid for a short period of time – 3 days is popular. During this body cleanse many toxins are eliminated via various means. But how is this achieved? Normally, all the toxins in the body are stored in the body fat. So when you are on juice detox diet, you consume only healthy, fat-free liquids. This means the fuel required for the bodily functions is achieved via burning the body fat. This results in toxins also being eliminated along with the body fat that is burnt. This can be achieved by several forms of fasting like water fasting. You may wonder what’s wrong with the freshly packed fruit drinks that are available in air-tight tetra packs? Why should you freshly prepare your own? The answer lies in the word, ‘Pasteurization’. This is a process where all the packed foods are prepared so that they last longer. Juices are no different. In this process, the juice is heated to a temperature of 118F, thereby smoothly killing all the naturally occurring enzymes in them. You might be getting the vitamins and minerals, but you are certainly losing out on some helpful enzymes when you use packed food. While using this from of detox diet you may observe that your body experiences certain symptoms that were not visible earlier. It depends on how your body eliminates the toxins. If your body chooses to eliminate toxins via the skin, then you may temporarily get an acne breakout or a mild rash. Body odor may also increase suddenly and in extreme cases body odor gets really foul. If the alimentary canal is the mode of exit for the toxins, then you might get bad breath. The taste buds in the mouth might also be victim and you may experiences a bad taste your mouth. There are also certain rules that need to be followed religiously while you follow this method of fasting. You should drink the liquid immediately after making it to prevent the loss of necessary enzymes and nutrients. Don't store it if possible because you will lose some of the nutritional benefits due to oxidation. You should make it a point to consume at least 35 to 70 ounces of juice in a day accompanied by at least 8 glasses of purified or filtered water. This combination is extremely necessary as your body needs them to function normally without causing any adverse reactions to the loss of food. Citrus fruits are best avoided. Celery, cabbage, pineapple, apple and beet are good fruits and vegetables to start off with in your detox drink recipes. Try to include certain green leafy vegetables and sprouts. These are nutrient powerhouses and also high in chlorophyll. This wonder nutrient helps in supplying oxygen to the blood. If you are planning to embark on this kind of liquid detox and you have any sort of illness or medical condition, then please consult your physician as medical attention might be required. This is especially necessary if you suffer from diabetes. There are many benefits to drinking fresh juice, my favorite one is that fruits and vegetables provide an essential substance for good health - water. More than 65% of most of the cells in the human body are made of water. In some tissues, for example the brain, the cells can be made up of as much as 80% water. Yet most people don't consume enough water each day. Plus, many of the fluids we do drink such as coffee, tea, soft drinks, alcoholic beverages and artificially flavored drinks, each contain substances that require extra water for your body to eliminate. Pressed fruit and vegetable are free of these unneeded substances and are full of pure, clean water. Some of the green vegetables don't have great flavor. A dash of ginger or lime can help mask this and improve the flavor of the juice. Cucumber is another popular masking agent to use in vegetable juices. In many fruits and vegetables, a lot of the nutrient content is just below the rind or the skin and peeling them off may actually get rid of some pretty useful stuff. So try not to peel fruits unless you have to. Then again if you aren't able to get organic fruits and vegetables, the pesticides residue can be found on the skin so then it's better to peel. Wheat Grass is a nutritional powerhouse with innumerable health benefits. This plant is easy to grow and has health benefits like cleansing the liver, kidney, and colon and restoring vital health. It is really helpful for strengthening the body and encourage healing especially for people with leukemia and many other forms of cancer. To get the most nutritional value from your wheat grass, it's best consumed in liquid form to extract the concentrated goodness. Some supplement companies sell the powder. One glass early in the morning on an empty stomach should be the best way to start. If you cannot bear the taste, then start off with small quantities and then gradually increase it. You might find that over-the-counter cold and flu medication will diminish from your shelf as you regularly include juicing for good health. This liquid detox is very effective in weight loss as well. It is also reported to reduce the craving for food, thereby helping in the weight-loss process. Anti-aging properties of carrots and cucumbers make them a great way to achieve a smooth complexion and glowing skin. It also helps in reducing water retention in the body. So go organic now and start off the juice therapy to get some anti-aging elements into your body. Juicing Recipes for you to try. Some vegetables will be an acquired taste but apples, carrots and citrus are universal favorites. Mix, match and experiment until you find recipes that suite your taste and the results you are trying to achieve. Super Foods are special foods that contain special properties for disease prevention and promote health along with longevity. Cranberries Health Benefits Discover this little miracle berry with anti-bacterial properties. A Raw Food Diet - The Diet that brings vibrant glowing health and extra energy. Read about the benefits and guidelines.